This photo was shot by LMAC photography at the wedding of Jenny and Adam. Their wedding reception was held at the absolutely amazing Windows on the River, a popular venue in Cleveland, Ohio. Their wedding ceremony was conducted at Bay United Methodist Church in Bay Village, a suburb of Cleveland, Ohio. There was another amazing photo location in the itinerary, which is one of our absolute favorites at LMAC, the Cleveland Historical Society. One of the perks of a reception at Windows on the River, is the availability of the Cleveland Aquarium for cocktail hour. 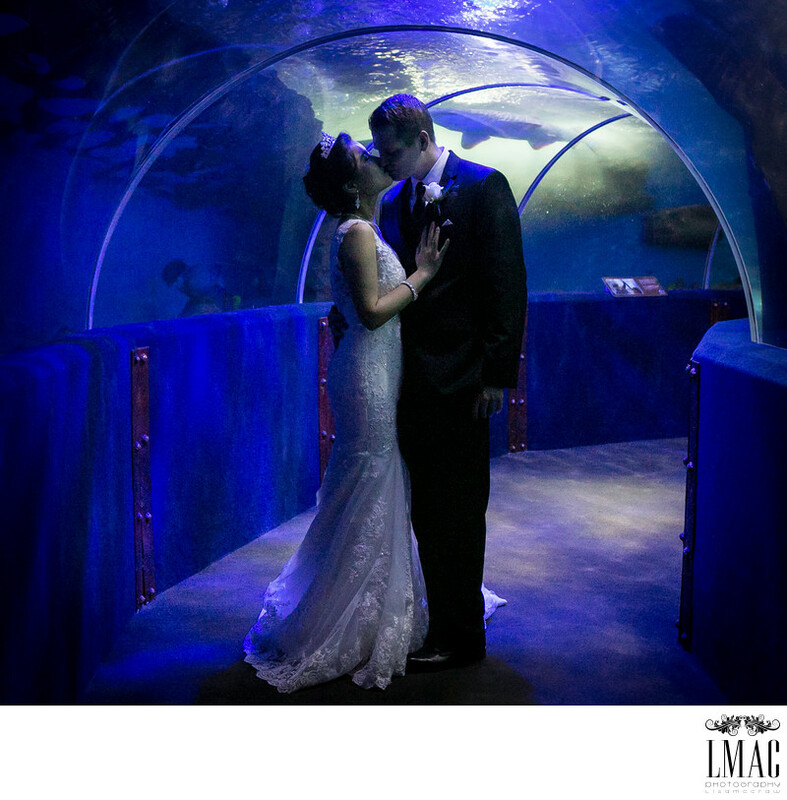 Wedding guests are able to enjoy their cocktails surrounded by majestic fish. As you can see, the lighting is moody and spectacular; a beautiful addition to any wedding celebration. Jenny and Adam were a spectacular couple and an absolute dream for LMAC to photograph.